My fascination with New England lighthouses began in June 1974, on my first flight with Air New England as a Twin Otter copilot from Hyannis, on Cape Cod, to Boston’s Logan Airport. I was young, inexperienced, behind the curve, and a source of humor for my captain on this short, 25-minute flight. Things happened fast: Funneled in with modern, fast-moving jets, I worked hard to acquire the ATIS (Air Traffic Information System), accomplish the approach and landing checklists, advise our passengers about landing, communicate with our dispatcher and Boston Approach Control, and at least appear proficient. At the mouth of Boston Harbor, there’s a scattering of islands called The Brewsters. They were named in 1621 after elder William Brewster, from Plymouth, a signer of the Mayflower Compact in 1620. As we approached Hull, flew parallel to Nantasket Beach, and banked left near Allerton Point to intercept the ILS (Instrument Landing System) to runway 33L, I spotted Little Brewster Island and remote Boston Harbor Lighthouse through my windscreen. I’d never even heard of Boston Light, but watched with fascination as this shining beacon of light slid slowly past my right-side window. At that time, this beacon and its faithful keepers had already guided mariners into Boston Harbor for two and a half centuries. For the next eight years, it would become an almost daily sight that captured my attention and stirred my imagination. Eventually, I moved on to fly large jets that would take me around the world, but I always looked forward to occasional Boston arrivals to reunite, from aloft, with an old friend. Months passed though before I had time to research this nautical navigation feature, and I was fascinated with what I learned. As an antique-book collector, I’d been introduced to the writing of Edward Rowe Snow, beloved chronicler of New England maritime lore, and now my chief source of New England coastal history and folklore. A more contemporary expert would be Jeremy D’Entremont (author of “The Lighthouse Handbook: New England: The Original Lighthouse Field Guide”), who I’ve met. Jeremy is the historian for the American Lighthouse Foundation, founder of Friends of Portsmouth Harbor Lighthouses, and the webmaster of “New England Lighthouses: A Virtual Guide” at www.newenglandlighthouses.net. So, let me tell you some of what I learned about Boston Light. Built in 1716, on what was originally Beacon Island, Boston Light is the oldest lighthouse in North America, and was one of only 70 lighthouses in the world. It was supported by a tonnage tax of one penny per ton of cargo by all ships entering or leaving the port of Boston. Small merchant ships, referred to as “coasters,” paid a smaller tax. Located nine miles east of Boston – a little over a mile north of Point Allerton in Hull – this is the second structure built on this site. On March 17, 1776, the Siege of Boston ended as the occupying British Army and Navy evacuated rather than face annihilation from Washington’s hastily created battery. General Washington – with recently captured British artillery from Fort Ticonderoga – watched from Dorchester Heights as more than 170 British warships, laden with 22 regiments of the Kings troops, loyalists, their possessions and military hardware, departed Boston Harbor. This astounding feat was facilitated by Boston bookseller, Col. Henry Knox, who led a small detachment from Boston to Fort Ticonderoga, in New York, to retrieve cannon taken when the British surrendered the fort. Within two months, Knox and his men had moved 60 tons of artillery to Boston with which to repel the British. Called Evacuation Day, this is celebrated annually in Massachusetts. Boston Light was destroyed three months later as the last of the British fleet abandoned the city. Taking small arms fire from shore as they left, the British slowed just long enough to destroy the light by leaving a keg of powder with a long fuse on Little Brewster Island. By 1783, a new structure was built on the same site. Now the second oldest working light in the United States, it is the only Coast Guard-manned beacon in the country and was placed on the National Register of Historic Places in 1964. Ownership was transferred to the federal government in 1790, and later to the United States Coast Guard in 1939. The 1783 tower height was 75 feet, but, in 1859, it was extended to 89 feet to accommodate a second-order, French made, revolving Fresnel lens that stands six feet high with a 15-foot circumference. With two million candlepower, today’s lonely mariners can spot this light from about 27 miles at sea before the curvature of the earth takes over. In August 2018, after a 44-year wait, my wife Linda and I departed Salem Harbor in search of Boston Light. 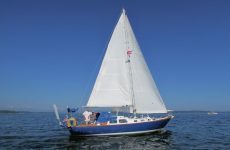 Leaving Salem Sound, we turned south past Marblehead Neck, Tinkers Ledge, and ran abeam of Swampscott and Nahant till we got to Graves Light – about a mile and a half from Outer Brewster Island – where we lingered to take pictures. It was a spectacularly clear day with no humidity, light winds, and seas less than a foot. The desolation and forbidding environment of this lonesome light station had captured my attention for years, and I’d only experienced it from the warmth and comfort of a large jet climbing to altitude. A short distance later, after navigating the Roaring Bulls, Martin Ledge and Outer Brewster, we approached Boston Light from the northeast. Her gleaming white tower and neat-as-a-pin keeper’s house appeared through our windscreen and stood out against a distant Boston skyline in a low, afternoon sun. Seeing her from sea level versus from altitude was an entirely different experience. My thoughts turned to George Worthylake, the first keeper. Returning from a trip to Boston in a sloop, reportedly to attend a sermon and possibly to collect his keeper’s pay, with his wife Ann and daughter Ruth, and two other souls, they transferred to a small vessel to go inshore, soon capsizing and all perishing near Lovells Island. 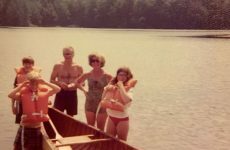 The bodies of Worthylake and his wife and daughter were recovered, but keeper Worthylake’s cash was never found. They were interned in a common grave at Copps Burial Ground in Boston. Mr. Worthylake was a bit of an entrepreneur, maintaining a farm on Lovells Island, a flock of sheep on Great Brewster, and serving as a harbor pilot. Twelve-year-old Benjamin Franklin wrote a ballad about the incident, “The Lighthouse Tragedy,” and sold it on the streets of Boston. Interestingly, only a few days after being named temporary lighthouse keeper at Little Brewster, Robert Saunders drowned when his boat capsized while bound for the island. A few keepers later, Robert Ball would log the longest service at this outpost – 40 years. Massachusetts in 1775 endured many Revolutionary War battles, the most famous of which were The Battle of Lexington and Concord (April 19) and the Battle of Bunker Hill (June 17). Lesser-known battles, though, erupted within the confines of Boston Harbor. 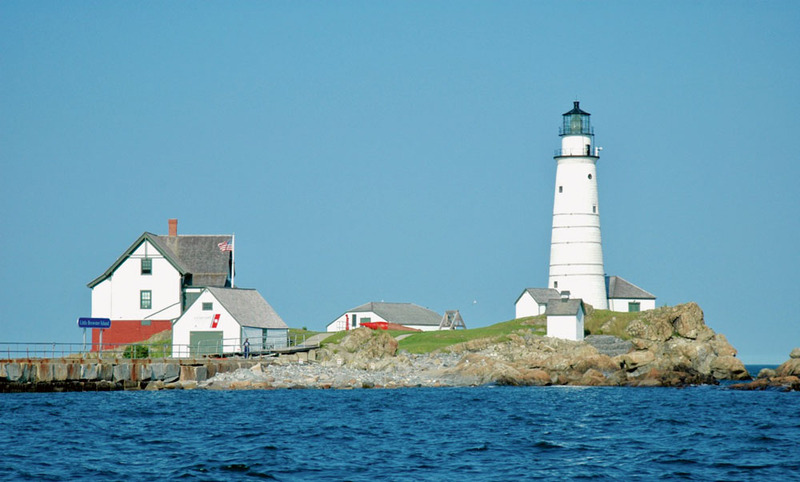 In July 1775, the British controlled Boston Light and, therefore, the harbor. A small band of Minutemen raided the island, removed the lantern and its oil, and burned wooden parts of the structure. The damage was minimal, however, and the British soon repaired the facility that guided their imposing warships into Boston. On July 31, General Washington dispatched a larger force of 300 soldiers to finish the job. Commanded by Major Benjamin Tupper – born in Sharon, Mass., and a veteran of the French and Indian War – his troops landed on the island after dark and overwhelmed the British Regulars there, ironically doing considerably more damage to the lighthouse. Tupper’s force was not home-free yet, however. An ebbing tide had left their boats aground, and their departure was delayed, allowing the British fleet to close on the light and prepare their massive guns. The future appeared bleak as the first artillery piece belched smoke, fire and heavy ordnance skyward. However, it turned out to be bright indeed as that artillery was in the hands of American rebels on what was then known as Nantasket Head, future site (1897) of Fort Revere. The fleet was scattered, and Tupper’s troops escaped with only one casualty. The British suffered heavy casualties. Washington praised his brave raiding party, and Tupper was soon promoted to lieutenant colonel. So, the next time that you round Georges or Lovells islands, or Windmill Point at the west tip of Hull, bound for The Brewsters and Massachusetts Bay, stop for just a moment and consider the tragedy of the Worthylakes, and the heroism of Major Tupper’s band of rebels. Though automated in 1998, the Boston Light Station was congressionally mandated to be “manned” in 1989. But not by a man in this case. Since 2003, the 70th keeper of the Boston Light is Sally Snowman, a Coast Guard Auxiliary member who grew up in nearby Hull, first visited the light with her father when she was 10, and was married there as well. She’s there today, 302 years after the first light was erected. My wife Linda and I waved hello to her as we circled the island, took pictures, and I absorbed the experience I waited 44 years to savor. It was worth the wait! Amherst, N.H., resident Rand Peck was a commercial pilot between 1974 and 2012. His career began with Air New England and ended with Delta Air Lines, where he was a 747-400 captain. 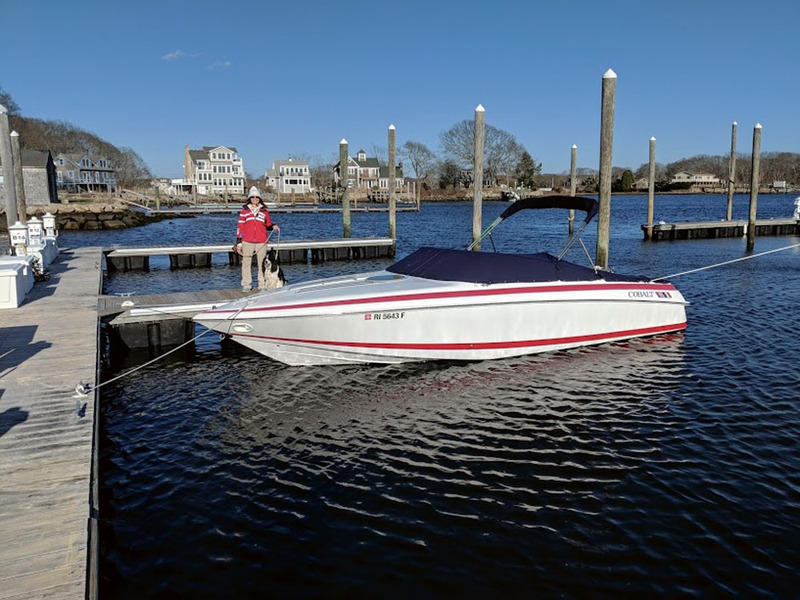 Since his retirement in 2012 his life has centered around his family and cruising D-Sea-10, a 27-foot Eastern Downeast Cruiser, in New England waters, his camera always within reach.